This week we made a fairy garden as a discovery bottle. 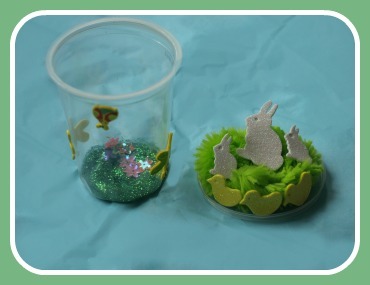 It started off life as a Spring style snow globe with blossom instead of falling snow. 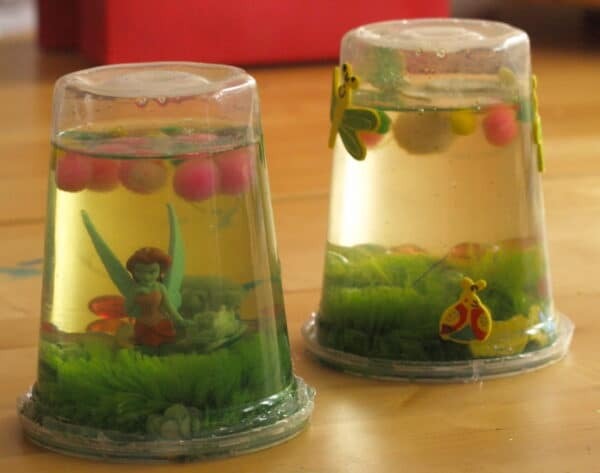 Then the finished globe looked so pretty we decided to put a fairy inside. We used plastic cups which contain fruit as they have a really secure lid. 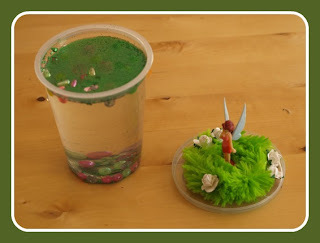 To make a fairy garden you will also need a small plastic fairy. We use a glue gun to stick it together but a strong all-purpose glue would also work. First I stuck the pipe cleaner onto the lid of the plastic cup. I had to do this part as the glue is hot. 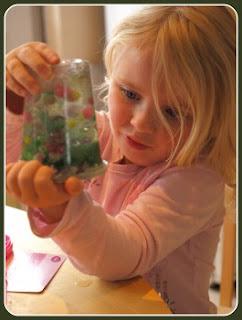 While we left it to dry Molly stuck some ladybird and butterfly onto the outside of the cup. 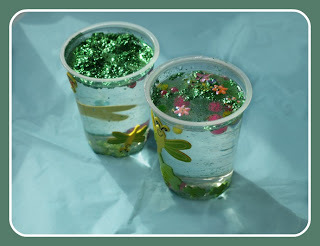 We half filled the cup with water. 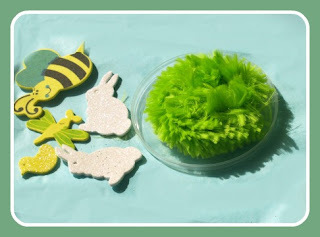 Then added the glitter, pom poms and embellishments. 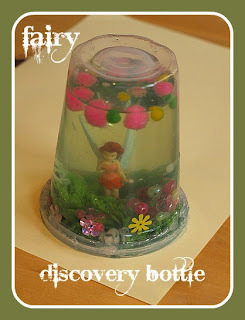 To make a fairy discovery bottle we glued a small fairy character onto the lid and added some small flowers. 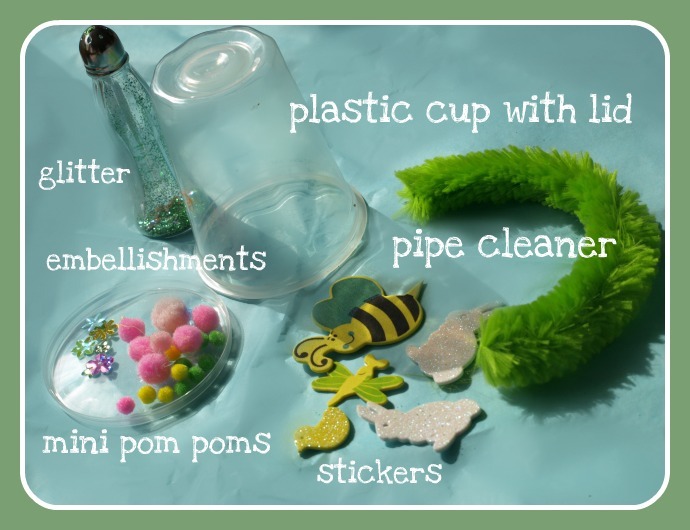 We added glue around the lid and then stick it quickly onto the cup. Glue on the outside around the lid to make sure it is watertight. Then shake the bottle and watch the blossom fall. 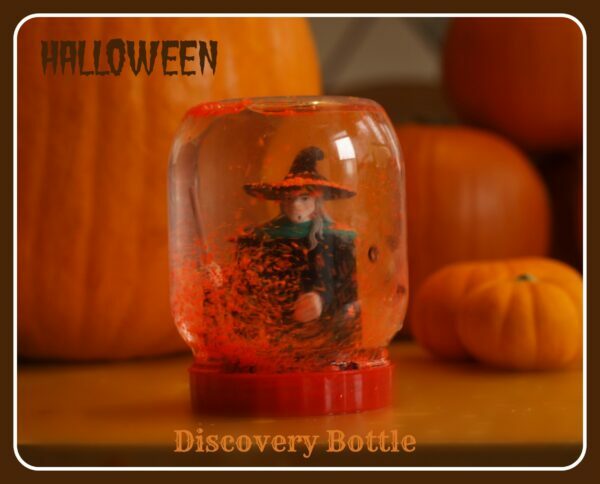 This is what the fairy discovery bottles look like now, about two weeks later. 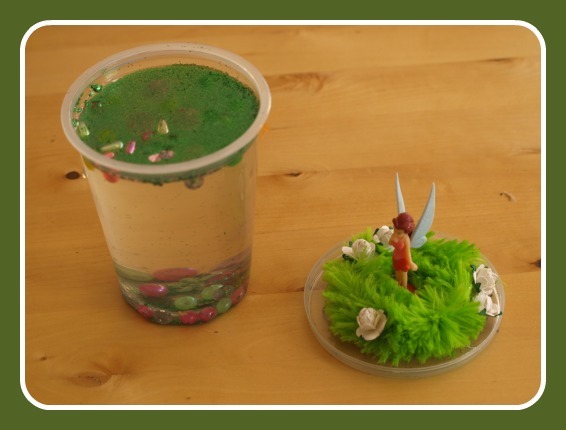 Hopefully, you can see the glitter in the water has turned the fairy’s skin green. Cool!